For more information, contact Shawn at 985-237-2350 or autoshawn@charter.net. 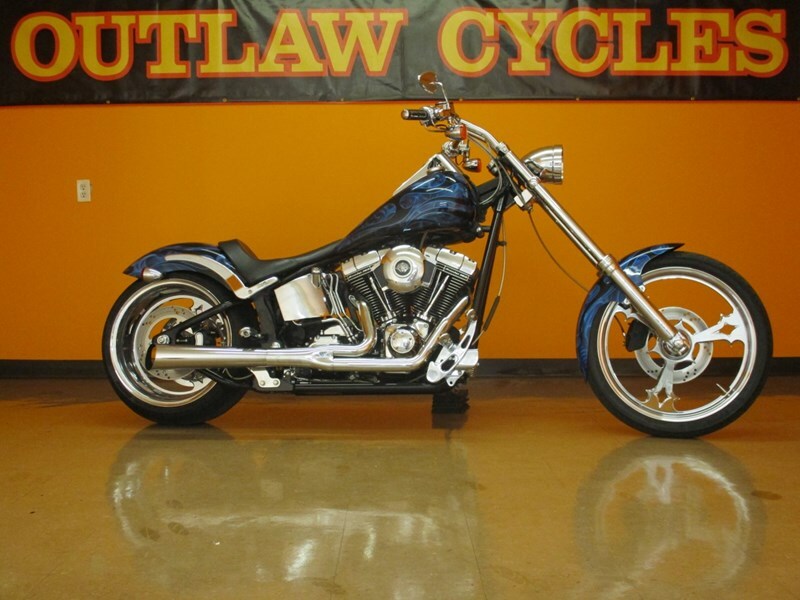 To view our entire inventory, visit us on the web at www.outlawcyclesinc.com/for-sale. At Outlaw Cycles, Inc. we specialize in American V-Twin motorcycle sales. We carry clean, high-quality V-Twin used bikes at a cost that can't be beat. To see our ever-changing inventory of Big Dog, American IronHorse, bobbers, baggers, custom choppers, Harley Davidson, pro street, trikes, and all those in-between, please check back often. We are also a full-service repair shop. We offer a full line of custom parts, and accessories from many of the top brands. Financing available. Please visit us, or give us a call today to see more of what we can do for you. We're located north of New Orleans, not far from Lake Pontchartrain. We can ship your purchase anywhere in the Contiguous United States to your door for $625.00. Shipping rates could be lower depending on your location. Need international shipping? Please give us a call to get more information.